Welcome to the world of a yoga holiday! There are two yoga studios at Al Limón Ecolodge, an indoor studio and a huge outdoor cane platform. Whether you are a total beginner or at a more advanced level, our yoga sessions always focus on individual needs and capabilities. 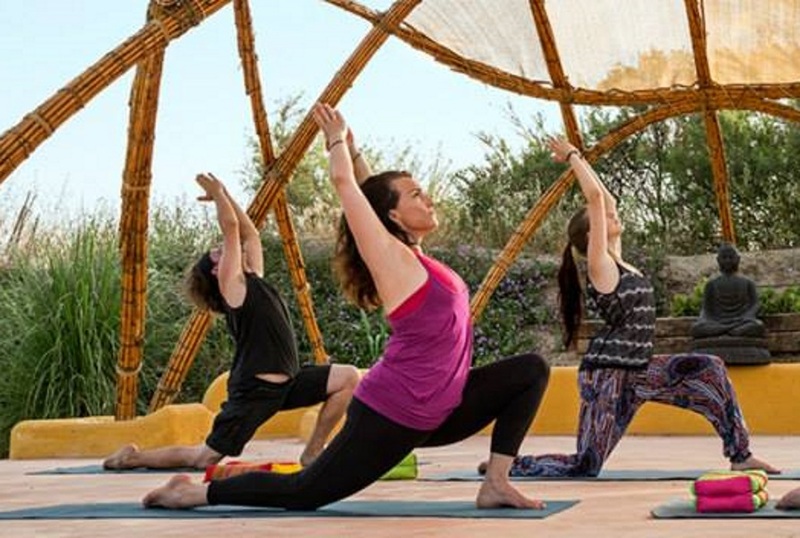 We offer group or private classes, as well as an opportunity for international teachers to host their own yoga retreats or teacher training courses. 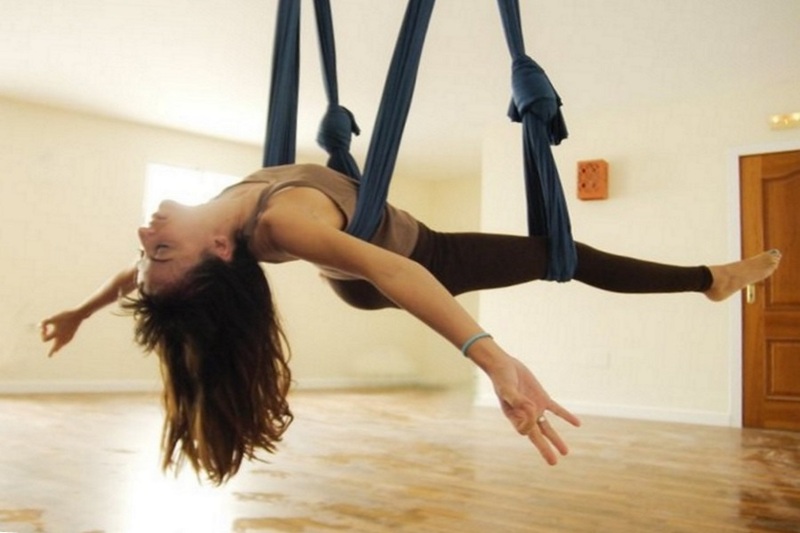 Inside the house, a natural wood floored Yoga Studio has all the usual yoga equipment plus aerial yoga swings. 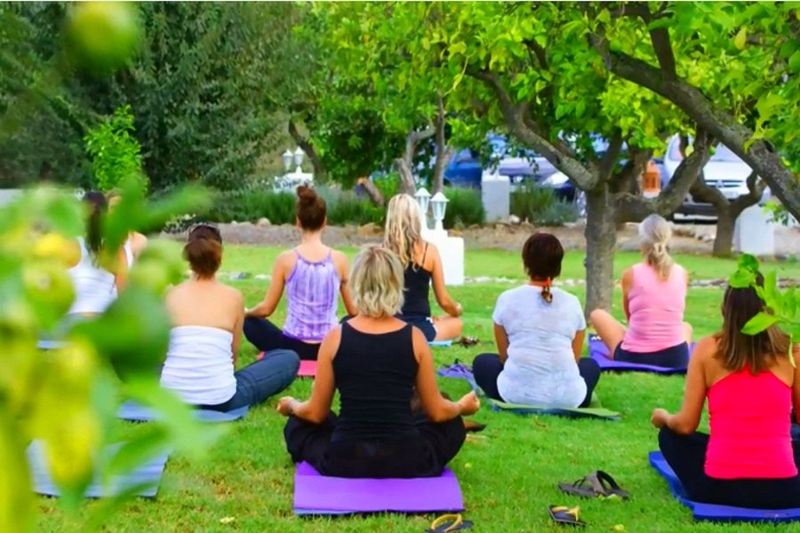 It is a beautiful yoga and meditation sanctuary for our daily scheduled classes and yoga retreats for small groups. 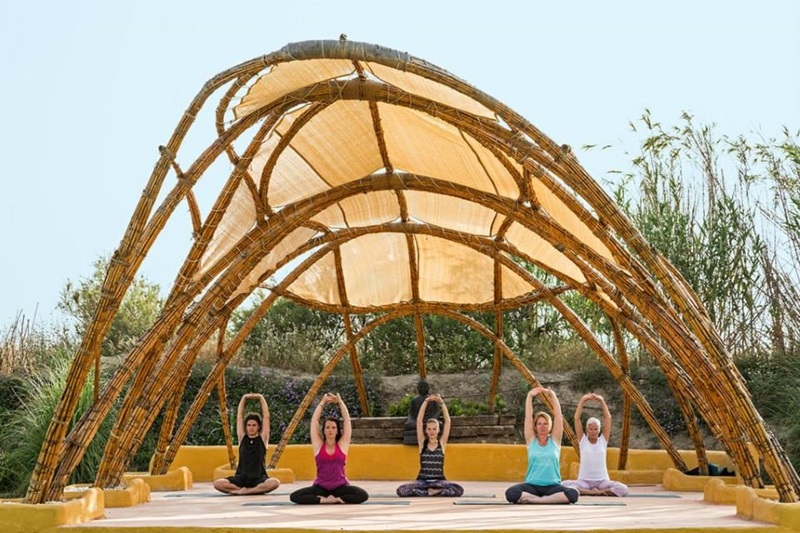 The Yoga Cane Platform is an open-air natural cane-structure, perfect for yoga practice and to foster a connection with nature. It offers a stunning panorama of the mountains and sunset views. Its capacity for yoga classes is 30. Maria del Mar Ganfornina Fuentes is a motivated yoga instructor specialising in Ashtanga. Energetic and outgoing, she enjoys inspiring others to commit to an every day lifestyle compatible with individual health and fitness goals. External teachers with an established following can host their own yoga retreats or teacher training courses at Al Limón Ecolodge. We freely promote you in our Upcoming Events and collaborate with you to comfortably accommodate up to 30 of your students. For groups over 10 students the teacher comes free of charge.